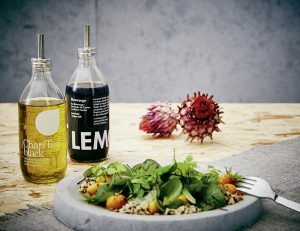 People are constantly ponti cating these days about becoming more sustainable and protecting the environment. But the reality is that our rubbish heaps are getting higher and the amount of plastic oating on our oceans is increasing. Because our throwaway society keeps producing things that soon have to be disposed of. Upcycling calls a halt to this waste of resources. Existing objects are turned into creative and useful items – items that are far more attractive and charming than any mass-produced product. 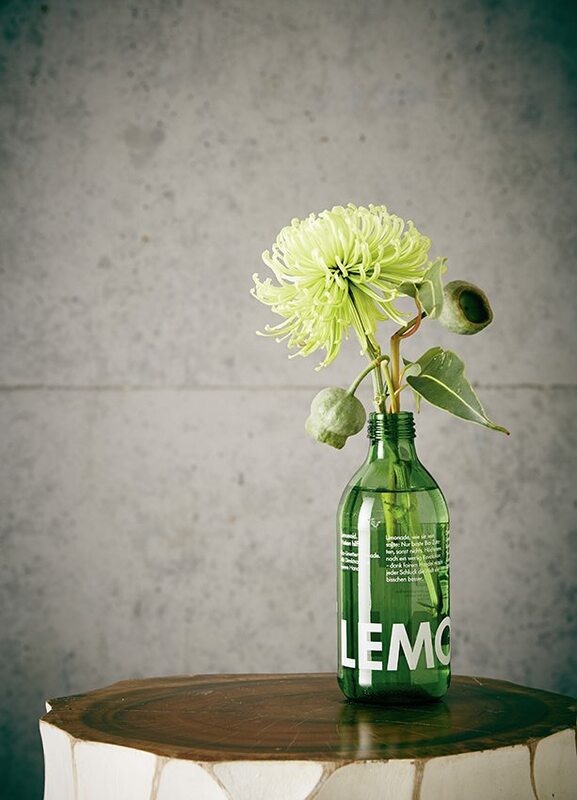 We Lemonaiders are contributing to this movement by turning our empty bottles and crates into a variety of items, such as lamps, stools, soap dispensers, sugar shakers and vases. We even build entire bars and beds in next to no time. 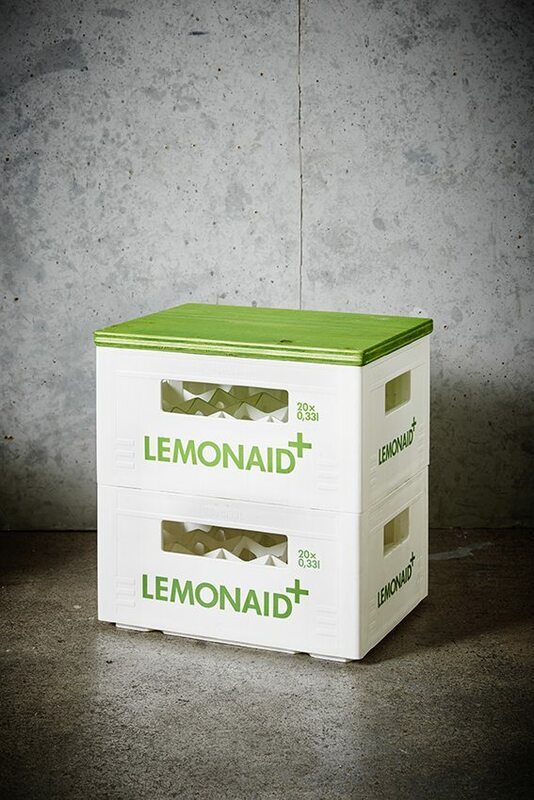 In our shop you’ll find many of those great upcycling ideas: merch.lemonaid.de. Each item sold supports the Lemonaid & ChariTea Foundation.